When thinking about your next holiday destination, Cannes, Corsica and the French Riviera will inevitably come to mind. Why not expand your horizons? These magnificent Mediterranean islands are just a short distance away. Sardinia, for example! 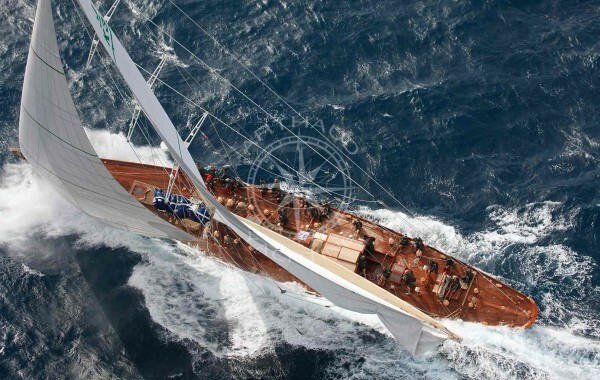 A yacht charter is even better for two or in a group! 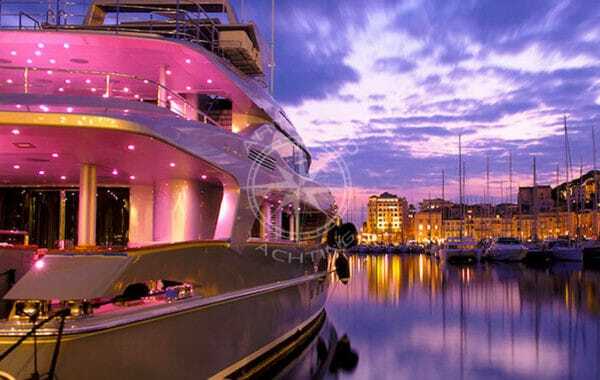 Why charter a yacht in Sardinia? 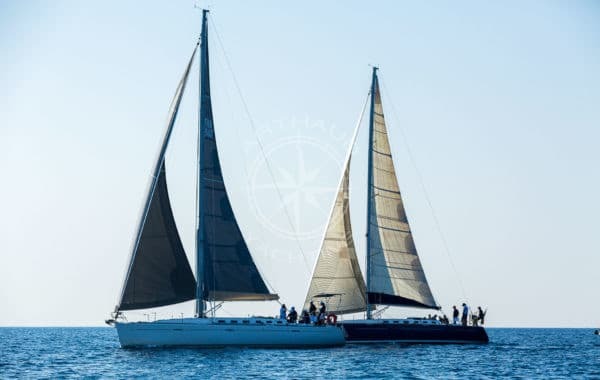 If you have an event to celebrate, a seminar to organise or are just looking for a quiet and relaxing break for your holiday, a yacht cruise in Sardinia will satisfy all your expectations. You will go home with many great memories and your guests will be delighted. It is also the opportunity to spend some quality time with your spouse by spending a day or a weekend alone on the Mediterranean. We take care of everything to help you fulfil your dream. It is possible to plan your menus with our team for both long and short charters. 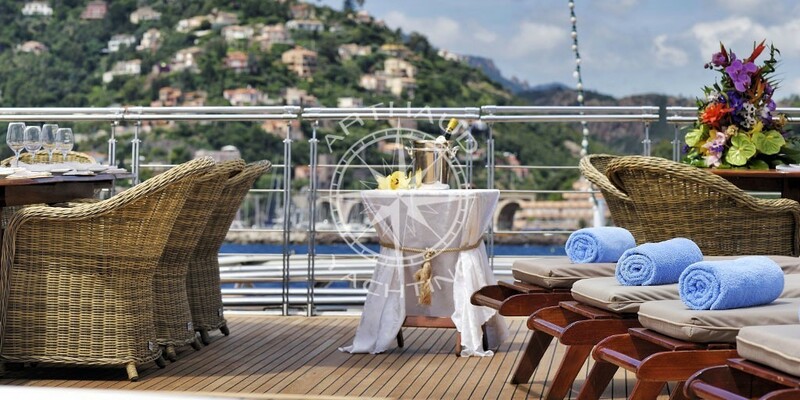 From drinks to meals, all services aboard are customisable to best suit your tastes. You can also choose the duration of your charter, for a day or a week… It all depends on your needs and wishes. 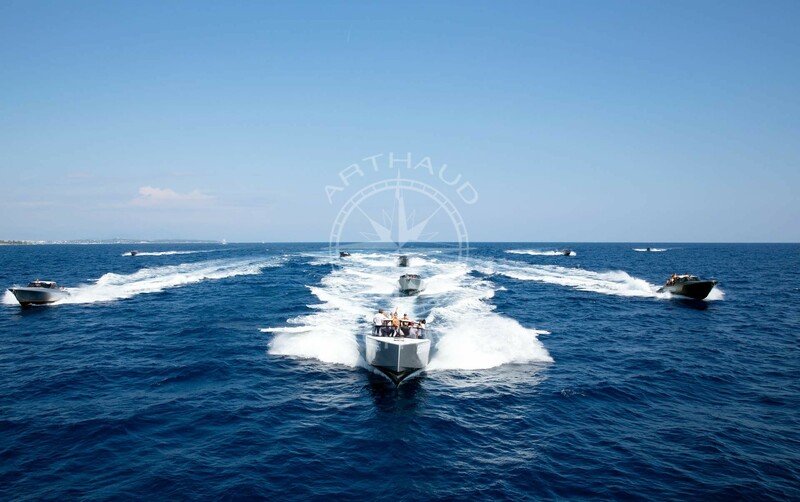 There is no risk of boredom with all the activities to choose from on board a yacht on the coasts of Sardinia. Do you want to organise a celebration for 200 people, a seminar or a cruise in Sardinia? Our yacht charters throughout Sardinia allow you to organise a cruise for an exceptional experience. 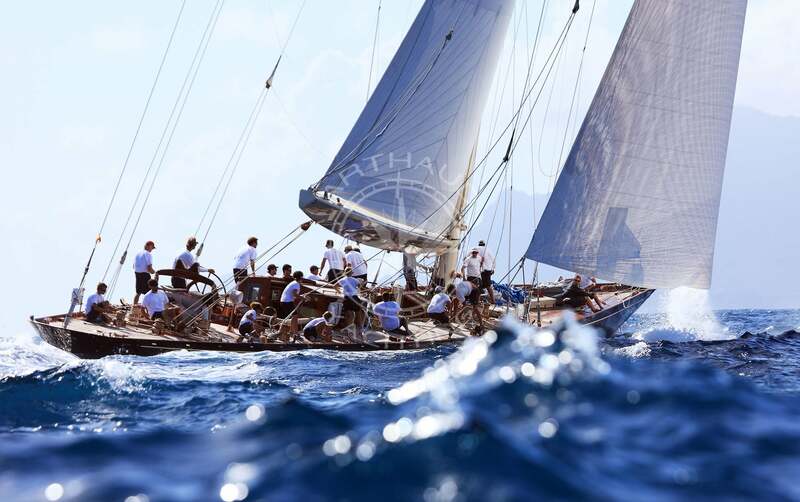 A wide choice of yachts to charter in Sardinia. Located near Italy, Sardinia can even make Corsica blush with envy. Its turquoise waters and granite reef give you a taste of paradise, not to mention the fine, white sandy beaches that will make you want to linger on the island. It also offers the opportunity to visit the city of Cagliari, with its architecture that is reminiscent of Venice. Don’t miss the Bouches de Bonifacio, the strait that separates Sardinia and Corsica. This heavenly landscape will leave you speechless and fill your mind with unforgettable memories. In addition to its scenery, Sardinia offers many tourist activities, including the discovery of local specialities at the market in Benedetto or visiting the region on foot or on horseback. Swim amid the shimmering colours of the water and charter a sailing boat. We offer it all! A hike amid the wild mountains where olive trees, myrtle and other Mediterranean plants grow is another pleasant experience, and you will finish the day in a restaurant to discover the culinary riches of the island. Our crew will be pleased to discreetly accompany you during your cruise. We are always available to listen to you and satisfy your needs. By entrusting us with your charter, you are placing your trust in a team that has several years of experience to make sure everything takes place under optimal conditions. In addition to the view, you can also book activities that will make your stay even more incredible. There is something for all tastes: fishing, diving… But also even more thrilling activities like water skiing, wake boarding and jet skiing. We also offer paddle boards and seabobs. 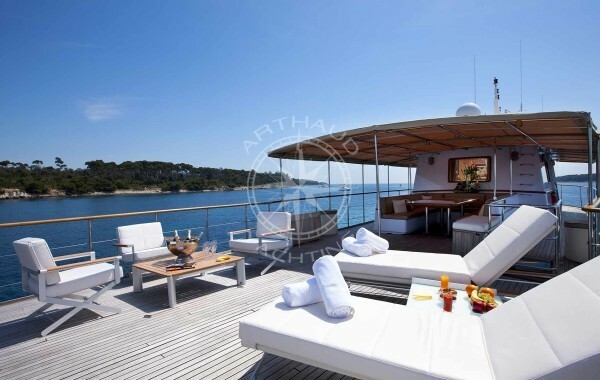 However, if relaxation is what you are looking for, the comfort aboard our yacht is ideal for a pleasant moment of peace and sunbathing. The gentle sound of the waves will rock you and offer a moment of pure farniente. You have nothing to organise – our team of qualified professionals will take care of it all. From organising everything on board before the departure to ensuring that your stay aboard your chartered yacht in Sardinia goes smoothly, we will know how to respond to your expectations. 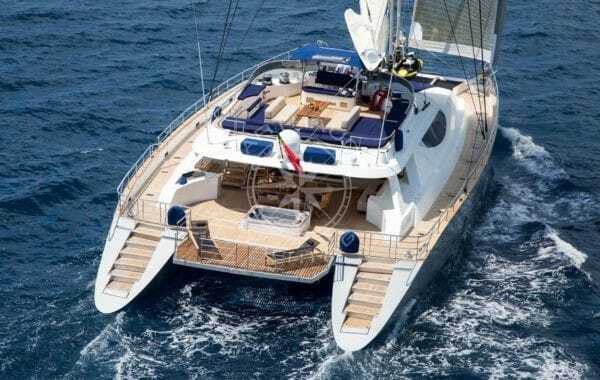 You can choose between several charter yachts in Sardinia, each corresponding to a need. 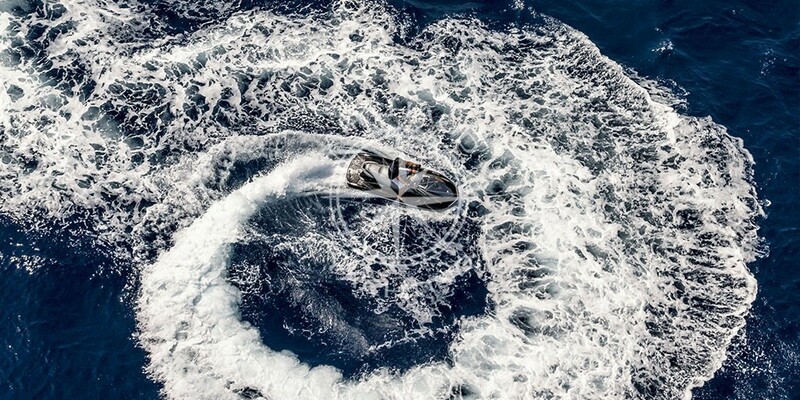 We will guide you when choosing the yacht that is most appropriate for your project. 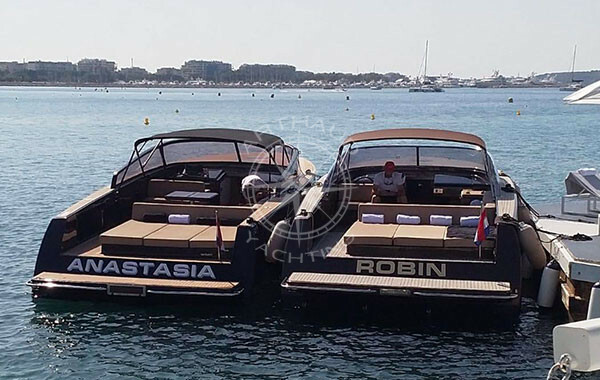 Whether your yacht is large or small, the services remain the same and you will be just as comfortable. 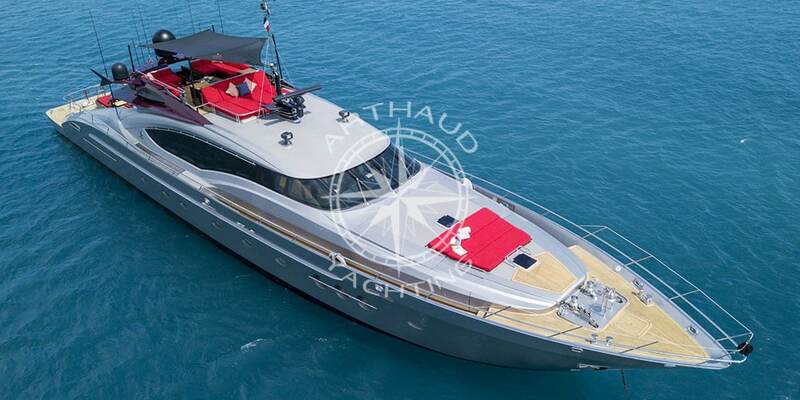 Fine quality yachts in Sardinia for luxury cruising. Tell us about your wishes, your budget, the duration of your stay in Sardinia, what you want to do and your tastes in food, and we will organise your trip to make it as magical as possible. 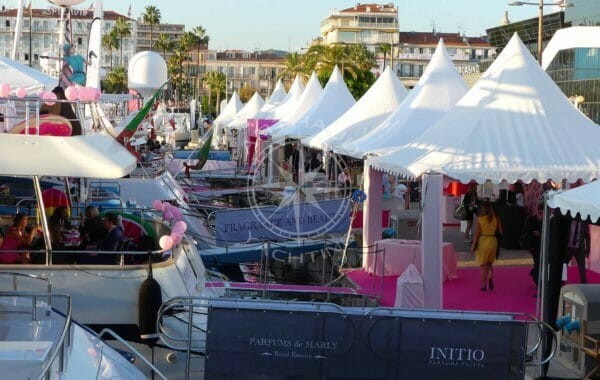 Do you prefer to organise a quayside celebration on a yacht in a port in Sardinia? It is possible, and we will take care of everything (booking, decoration, catering, DJ, etc.). Our largest yacht can accommodate up to 350 guests at quayside. An occasion to celebrate during one of your port calls. Who has never dreamt of casting off and making a getaway to Sardinia? The peace of the sea will help you unwind for a deep, relaxing breath of sea air. It is even renowned for its therapeutic virtues. 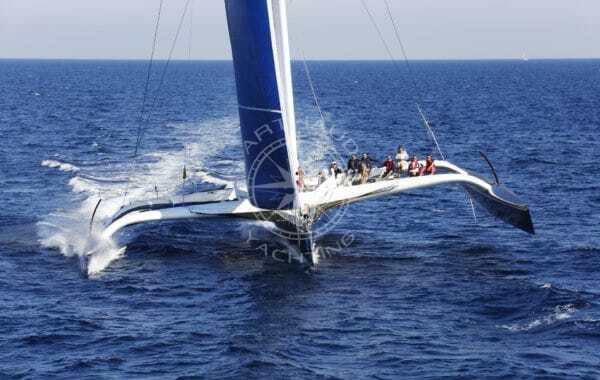 If you have the chance to charter a yacht or sailing boat in Sardinia at least once in your life, you will be forever marked by this rich experience. Of course, our yachts offer incomparable comfort and services. But our core values of reactivity, the sense of service, discretion and professionalism have created our reputation and ensure you of the best in the field. 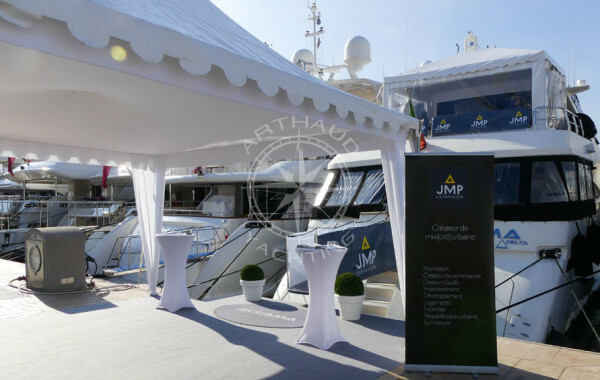 Therefore, it is not only a yacht that you are chartering, but an entire wealth of expertise. We hope that you will spend an unforgettable moment thanks to our services and are looking forward to welcoming you. Tell us about your expectations and our professionals will organise the event of your dreams from A to Z. You will thus enjoy an unforgettable moment in an extraordinary setting with a team whose expertise guarantees you a successful experience. 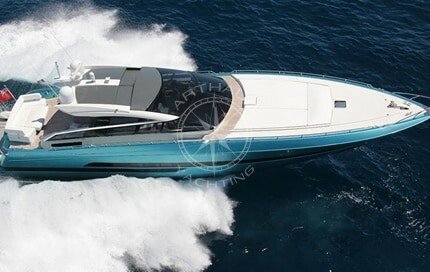 Your partner for your charter in Sardinia.